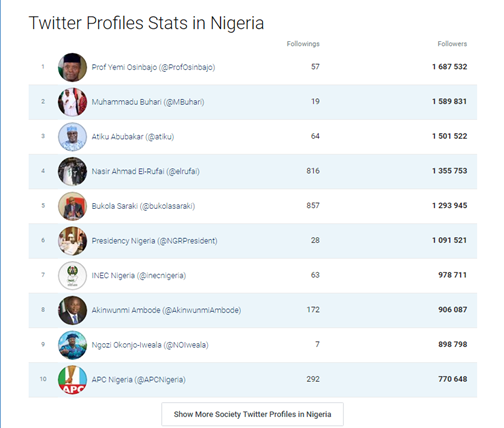 Social media plays an ever important role in the contemporary Nigeria society. 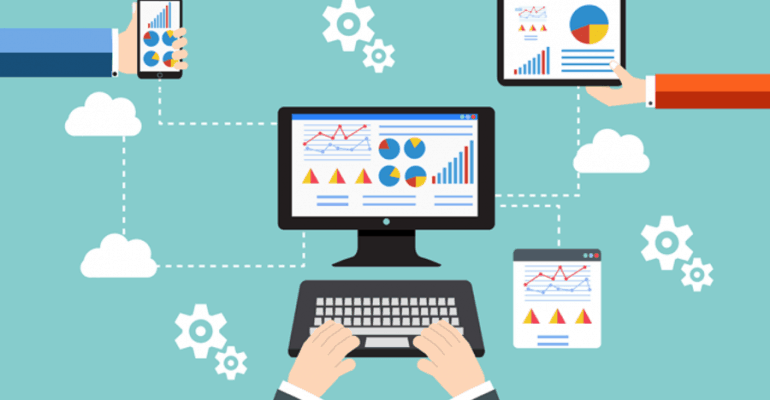 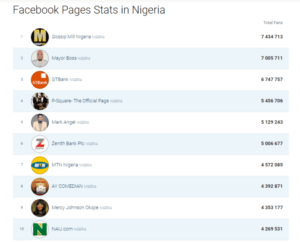 In this post, we have done a detailed breakdown of social media usage in Nigeria. 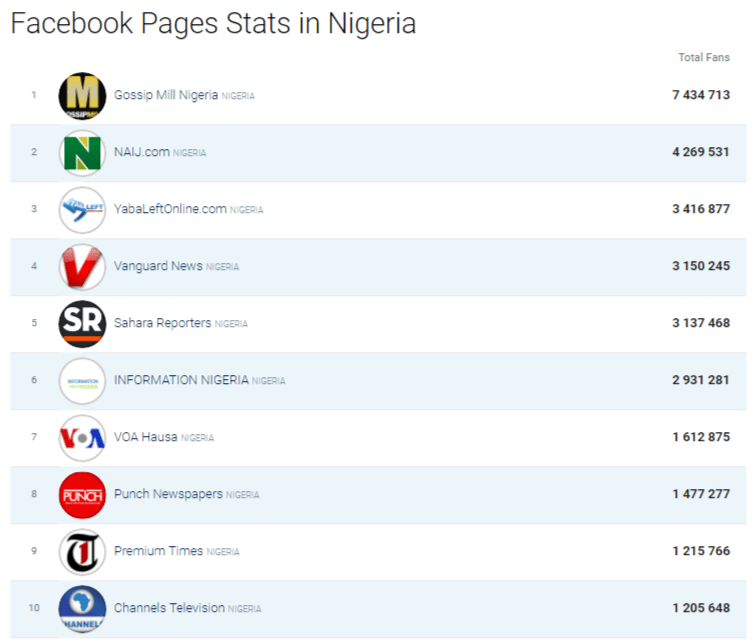 We will start by taking a look at the penetration rate of different social media platforms in Nigeria. 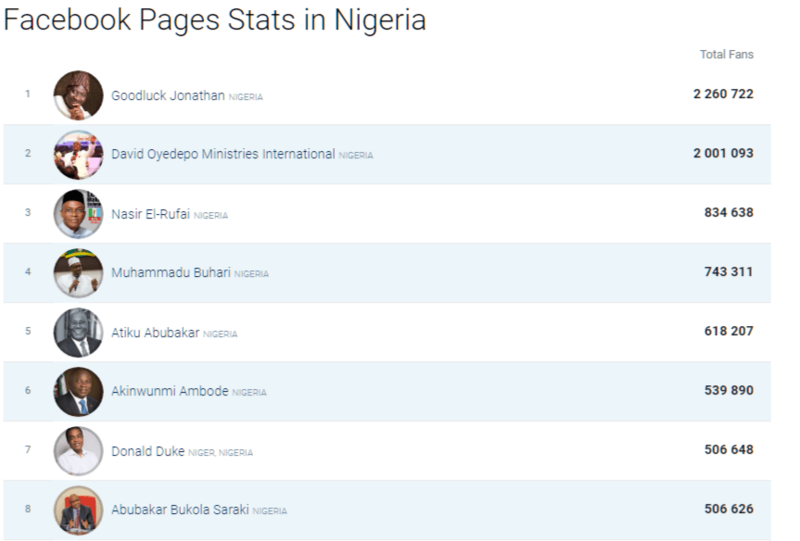 As can be seen from the chart below, Instagram and Facebook top the list of the most popular platforms in Nigeria with 41% penetration rate. 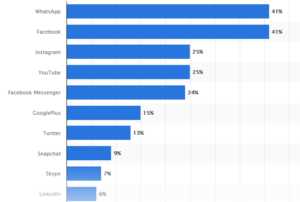 Another Mark Zuckerberg company, Instagram came in third. 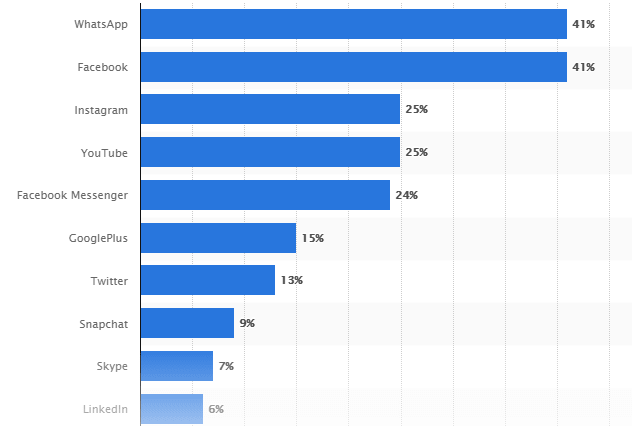 No surprise here really, other than the fact that one would have expected Snapchat to have more than its current 9% penetration (considering Nigeria large population of young people). 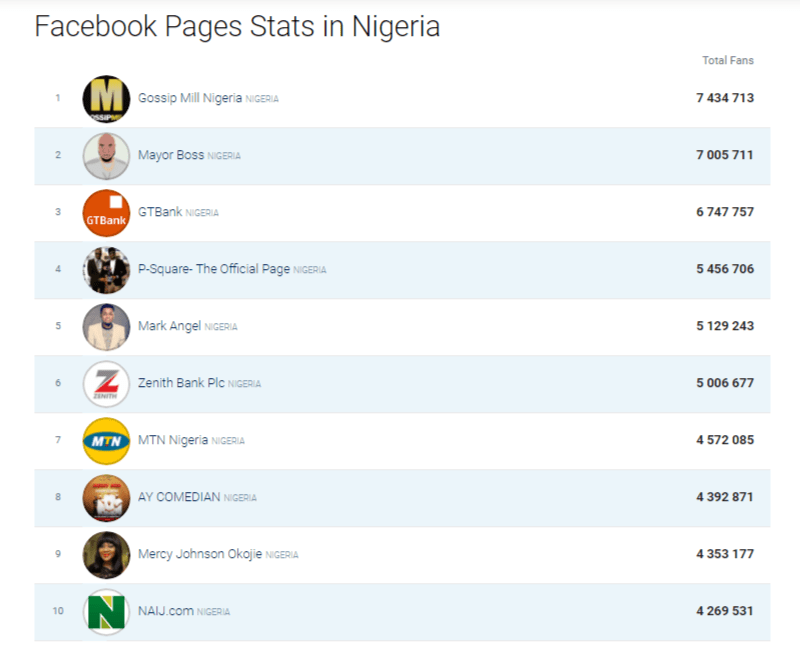 In terms of sheer number of followers, nobody beats Gossip Mill Nigeria. 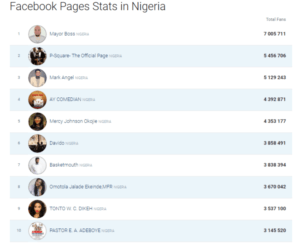 Gossip Mill has 7.4 million Facebook followers. 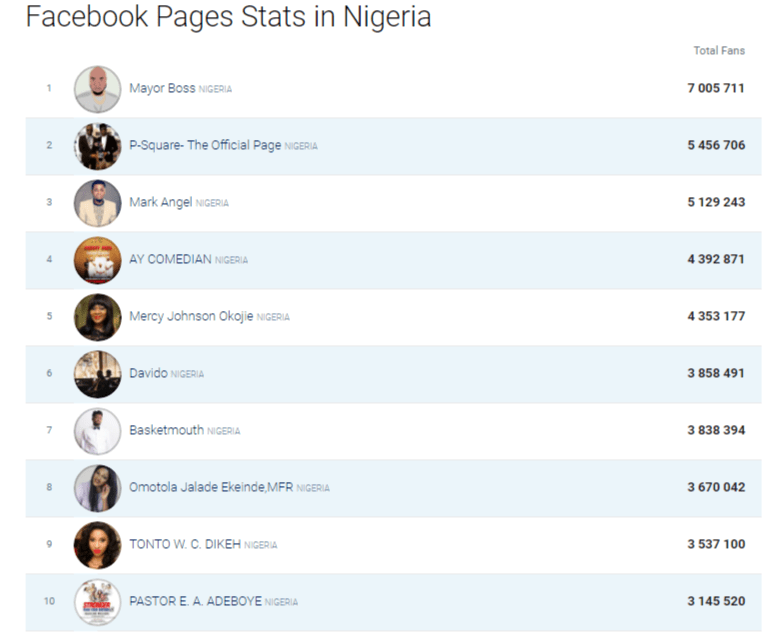 Another news/gossip site, Mayor Boss, came second with 7million+ followers on Facebook. 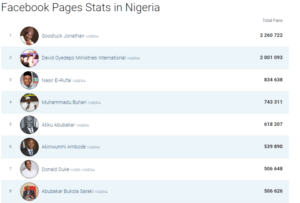 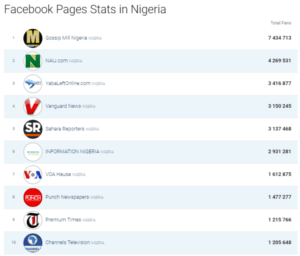 Of the ten largest Facebook media pages in Nigeria, only two belong traditional media houses – Vanguard with 3.15 million fans and Punch with 1.47 fans. 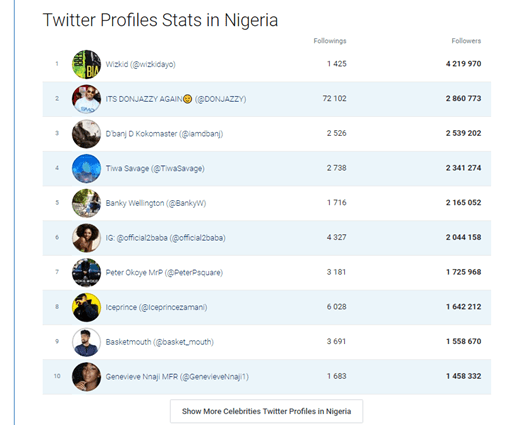 When it comes to Twitter in Nigeria, musicians rule. 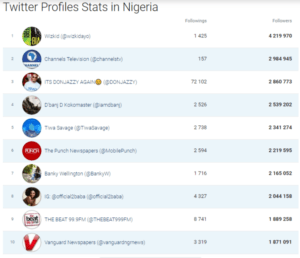 Six of the ten largest Twitter accounts belong to musicians. 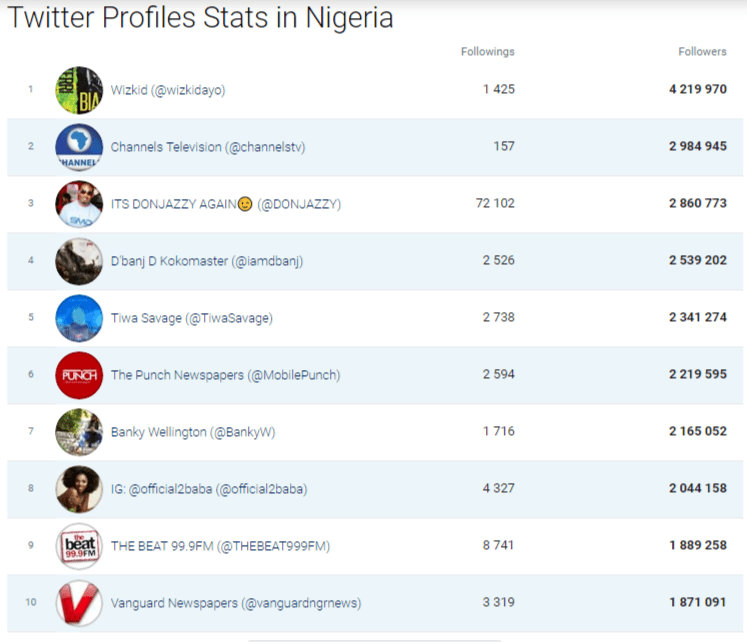 Wizkid with 4.2 million followers leads the pack.